This Animated Chainsaw with Sound looks and sounds like the real thing. With the turning chain and chainsaw sounds, you'll have everyone running in the other direction. Rusty blood splattered look. All plastic construction. Uses 4 AA batteries, included. 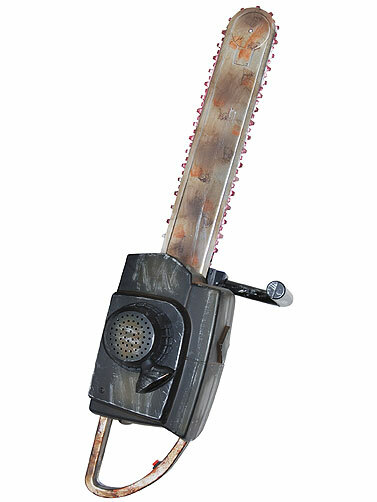 Animated Chainsaw with Sound measures 29"L x 9"H.